A surreal breath of fresh air. Spanish filmmaker Nacho Vigalondo wowed with his 2007 indie feature ‘Timecrimes’. His 2016 A-lister, big(ger)-budget flick ‘Colossal‘ is equally as awesome. And, also, wonderfully weird. Gloria (Anne Hathaway in full-on charming deviant mode) is the quintessential narcissistic New York party girl. After one drunken night leaves her homeless and jobless this thirty-something returns to her hometown dragging what’s left of her pride behind. 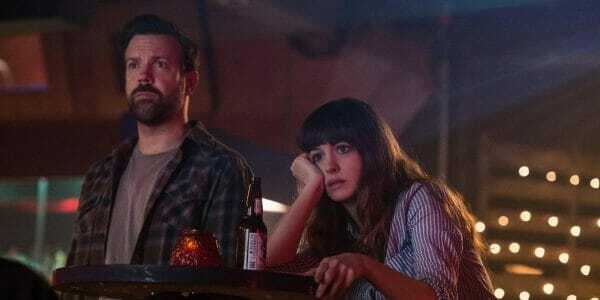 There she runs into childhood friend Oscar (a delightfully menacing Jason Sudeikis). Turns out Oscar’s running the local bar and needs a waitress. So income and access to free alcohol. Win-win! Meanwhile, on the other side of the world, Seoul, South Korea is getting inexplicable visits from a giant monster destroying everything in its path. And, it turns out, this otherworldly presence is directly related to Gloria’s hometown return!? All of Gloria’s “self-improvement” attempts, her and Oscar’s ever-growing hostility, and Seoul’s ongoing daily threats of imminent peril are mindblowingly intermingled. For those seeking an in-a-box resolution ‘Colossal‘ will frustrate. Like many “out there” films a leap of faith is necessary. And, as it turns out, well worth it. This party girl’s (almost) had enough. Boys are always trying to figure stuff out. 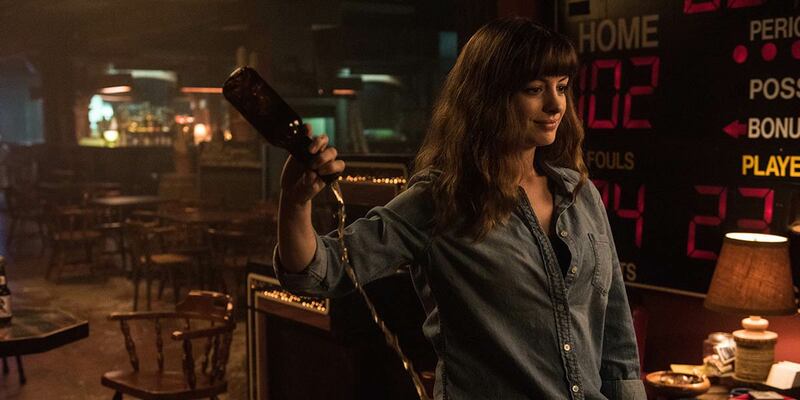 Nicely, this off the map set-up does allow for some seriously effed up, pitch black humor in the wake of Gloria’s and Oscar’s mutual self-loathing and “f*ck it all” path of destruction. In a sea of generic rom-coms it’s refreshing to find a properly nasty and totally unconventional spin. 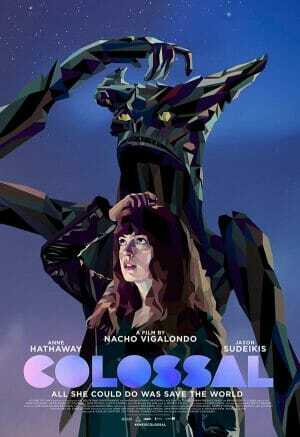 Inspired creativity, scarring wit, and fully committed performances lead ‘Colossal‘ towards greatness. Enjoyment level depends solely on how much weird you can take. I loved it. Entwining rom-com with sci-fi action into a bizarro alt reality offers a grand stage for the two powerhouse leads to self-destruct upon. Funny, weird, and completely awesome.